Are you looking for beautiful replacement sash windows for your Balham or Dulwich property? Perhaps you are browsing French casement windows online and are pondering on the benefits they could bring? Or perhaps you are an architect looking for the perfect set of vertical sliders for one of your clients? We install all types of glazing including sash windows and casement windows to residential and non-residential properties in your local area. All our products are sourced from leading manufacturers and fitted by our fully-trained FENSA-registered installers. From initial contact, through to installation and aftercare, you can be sure that the service you receive will be second-to-none. We offer no-pressure quotations, with scaled drawings and impartial advice, so you can make the decisions that suit you best. Our traditional sliding sash windows and box sash windows offer timeless elegance combined with modern 21st Century design. 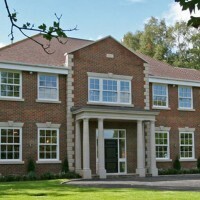 These windows feature many exceptional design features without compromising on character and appearance. We can supply and install sash windows made from reinforced uPVC, timber or aluminium that have all the additional benefits of a modern product that you would expect; they are low maintenance, highly secure, high performance and will always keep the bad weather out! 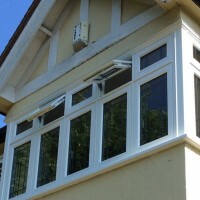 All our windows are made to measure to your exact requirements and we can supply and fit triple-glazed sash windows. For more details, please call is now on 0208 542 2233. Replacement sash windows offer the best of both worlds, with the classic looks of sash windows with the functionality and technological advancements of more modern products. All our options include classic features and are available in a number of colours. 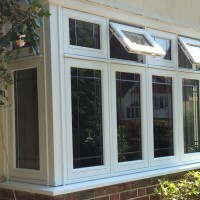 Are you looking for casement windows in Balham? Casement windows are hugely popular and suit all types of properties. Like their sash counterparts, we can supply and fit made to measure casement windows and French casement windows in uPVC, timber and aluminium. Nine windows in two days… very efficient service from start to finish! 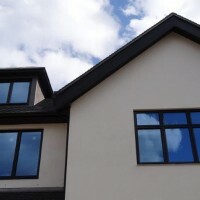 Would not hesitate for one moment to recommend Merton Windows to anyone considering replacement windows. Are you interested in replacement sash windows, vertical sliders or casement windows in Balham or Dulwich? Call us now! For a no-pressure quote and scaled drawings, please ring our team on 0208 542 2233, email [email protected] or you can fill out an online enquiry form!